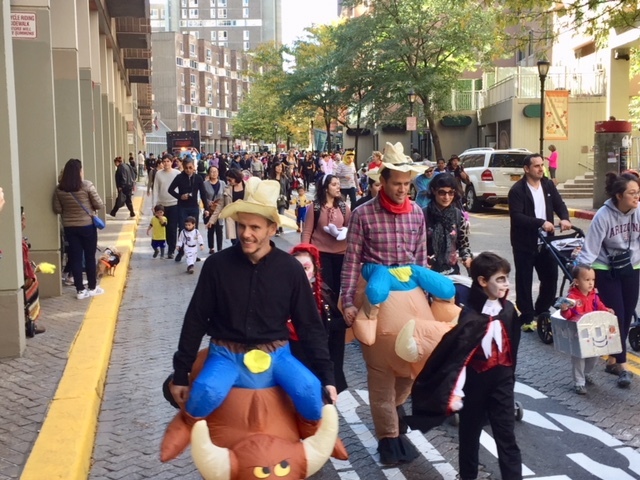 The Roosevelt Island Operating Corporation is proud to be hosting Roosevelt Island’s Annual Halloween Parade & Extravaganza on Saturday, October 27th, from noon - 3 PM. 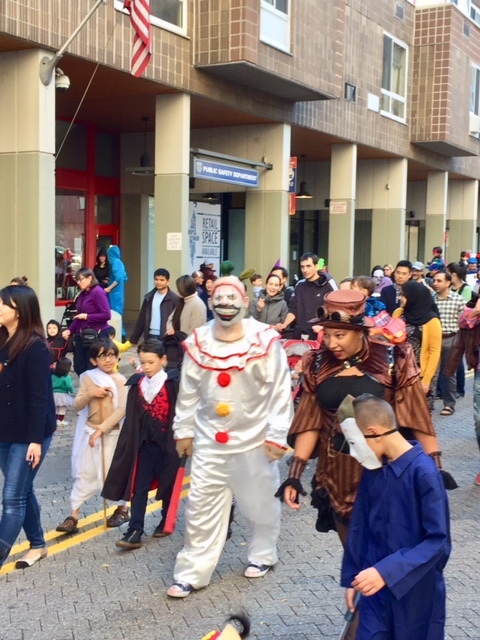 Every year, this FREE event brings our community together in a celebration of the costumes and fun the holiday brings. 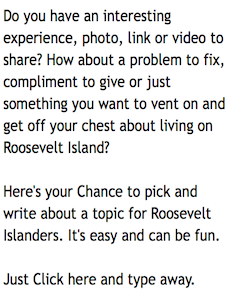 This event would not be complete without the participation of Roosevelt Island community organizations. 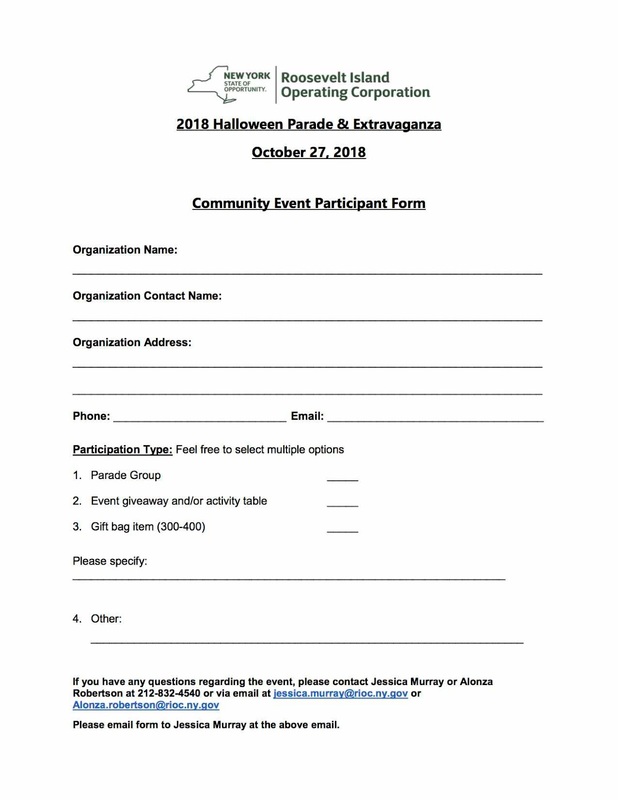 We write to invite you to join in on the Halloween spirit by walking in the parade as an identified community group and/or contributing with a giveaway/activity table at the Extravaganza portion in Capobianco. Tabling includes, handing out complimentary gift bags, food, or other pre-agreed upon items. If you can’t make it on the 27th, we welcome any donations towards our amusements, gift bags, and food giveaways at the Extravaganza. We will be starting the parade at Firefighter’s Field this year, and invite you to send a group from your organization to walk in costume (of your choice), with a banner identifying your group. We will be lining up at 11 AM! If you are willing to participate in any way, please complete and return the Community Participant Form no later than this Monday, October 22nd. 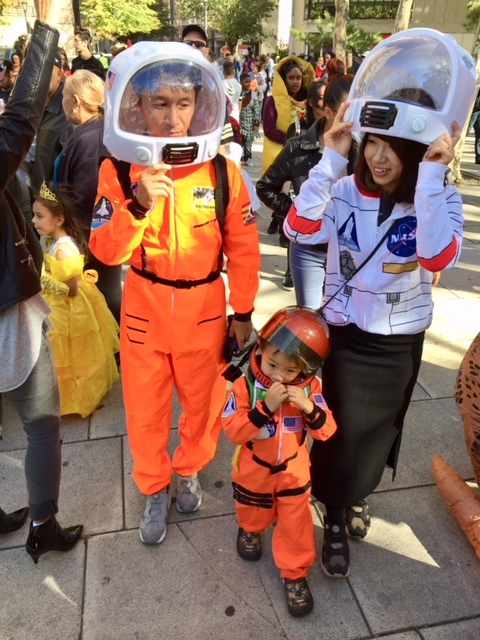 Here are some scenes from the 2017 Roosevelt Island Halloween Parade & Extravaganza. More pictures and video of the costume Parade down Main Street.